Childhood is a precious time and thirteen year old Baxter Owen Graham’s humor and simplistic moral insight has inspired a funny and justly provocative story in Old King Stinky Toes. 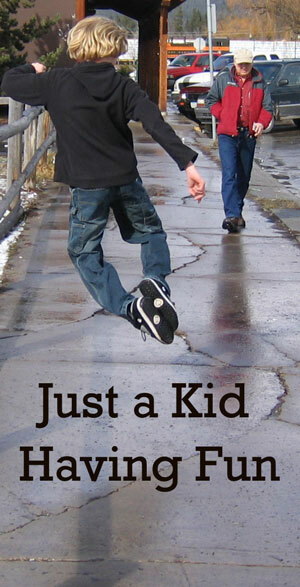 His story pleads to the charm, vulnerability, and courage of less than perfect souls. “Baxter likes to come in the back door,” says his fourth grade teacher, mentor and illustrator James Martin. "He has quick creative genius way beyond his years." One consistent discipline Baxter enjoys is his empathetic desire to make others smile. Baxter is an only child being raised by his parents in Whitefish Montana. His parents Robert and Jackie decided to Homeschool Baxter in sixth grade, and has recently returned to public education for the 8th grade. Baxter’s inspiration is undoubtedly encouraged and nurtured by his father’s entrepreneurial and creative spirit. “I actually wrote the story when I was 7 years old. My dad gave me a base (a starting point) for the story Old King Stinky Toes, and he just turned me loose!” Baxter liked medieval battles and stories with good morals, hence the story came naturally! Baxter had it memorized, and retold the story almost every night. So to calm the daily storms of stinky laughter his dad transcribed the story word for word onto an old laptop, but there it stayed, no longer used the Compaq 286 laptop and his story gathered dust for 4 years. Then in 2004 they almost threw out the old thing away, but no sooner than the story was retrieved his dad decided to turn it into a book. When they convinced Baxter’s talented fourth grade teacher to do the illustrations they were off and running. Painstakingly the two of them with a little help from an English teacher and friend turned the original story into rhyme. We really wanted to make the rhyme as true to the original story as possible, so there was a lot of thesauruses and vocabulary work. 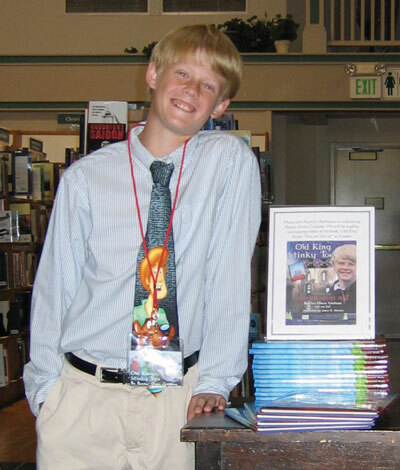 What has this eleven year old learned from the experience of writing a book? “Just don’t let your stories become refrigerator ornaments; there are many talented kids out there with great stories to tell. Save your works and maybe someday you will have the time to restore to life, edit, and publish your own creations,” says Baxter. Baxter’s story is a wonderful example for children and adults everywhere. A simple creative moment can be turned into a popular story for everybody to enjoy! So save those creative moments, nurture the good ones and do something with them for the good of us all. What’s next? For now Baxter’s passionate motto is, “Just a Kid having fun!” He has several works in progress, a collection of cartoons, another picture book, and a fantasy novel which he has been working on for three years. He hopes to complete the novel in 2007. "Just a Kid Having Fun!"